E-mail means Electronic-mail. It is the fastest mode of communication in existence. It involves the use of the computer with internet facility. In a computer with this facility the letter one wants to send to any place in the world is keyed in and then at the press of a button or by clicking on 'send' with the mouse, the letter reaches the mail box in the computer of the person to whom the letter has been addressed to. Sending letters to people has come a very long way from the time that man first learnt to write. The earlier known communication through letters had messengers running long distances with the letters. There were messengers on horse back. Animals were also used for the purpose which included pigeons, falcons and even dogs. Once the wheel was invented the post moved on much faster on wheels. The postal system became more organised and gathered more speed with the invention of the aeroplane. To those who are able to avail themselves of the E-mail service today, the postal system using even the fastest of planes appears out-dated and primitive. One wonders whether there could possibly be anything faster than the E-mail service. It is hard to imagine anything that can be faster than the wonderful E-mail service which we simply cannot do without today. To make this world a better place we all should have a strong bond among one another. A community begins from a small unit called the family. So we should all have a tight bond between family members. A tight bond means if one member of the family faces any difficulty, the other members of the family should rally round to encourage him to face this difficulty or the challenge, successfully. 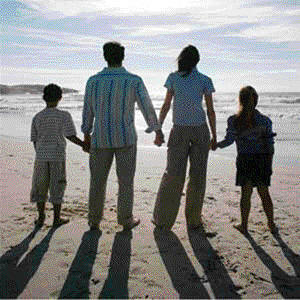 Family bonds can be developed by working cooperatively, caring for each other and sharing. So the foundation to make this world a better place begins from the family. Thereafter, the school plays a major role in a person's life. In a school, a child learns how to associate with people who are around him, her and also to face society which consists of people who are totally different from his family. He gets a good education while improving his good habits and qualities at school. Later he goes out into the community, as an educated person, as well as a well disciplined person. Then he starts to do social services in the community or the country and is admired and respected by the world. If every individual follows this policy, automatically a community would develop. Ultimately this world will become a better place with more educated, disciplined and cultured people who are committed to serving humanity. Graded 10, R/Rathnaloka Maha Vidyalaya. The land where we live in is similar to the starry sky. As stars add beauty to the sky, people living in this land too add beauty and meaning to everything. As every star has its uniqueness people too are unique and special in many ways. Not all the stars in the sky look the same, they have many differences. People too are different from each other in many ways. This difference in people can cause various problems as we cannot change the way people feel. However, to put an end to this, we have to learn to respect each other. What we all want is a chance to be ourselves, make decisions and be treated in a polite, decent way or in other words to be treated with respect. To make this possible we have to treat people the way we like them to treat us. We should always value others' opinions and be sensitive to their feelings. Then this world would become a nicer place to live in. It doesn't matter what culture, race and social background we belong to, to treat others with respect. Living with different people can make our lives a lot more interesting, but only if we get along with each other. Mistakes do happen because no human being is perfect. But we have to learn from our mistakes and move forward. Respectful people value others, build up others and help other people to value themselves. Keeping in mind the famous saying "It's not about what you've got, it's what you make of what you've got," we should accept individual differences and build up what we have got. As stars add beauty to the sky, we all should add beauty and meaning to our society and let others shine and glow by respecting them. This will make us shine, and also make this world a better place for you, the entire human race and me. Our annual prize giving was held recently in the college auditorium. Mrs. Padmini Wijesinghe was the chief guest. A large number of children who performed well in different fields received prizes as well as certificates. The principal of our school Mrs. M.M.M. Abeyratne, organised the annual prize giving after 24 years. The teachers, parents and well wishers helped a lot in making it a success. We are eagerly awaiting for the next prize giving. The Weheragala reservoir was made by building a dam across the Menik river, the fourteenth longest river in our country. The Menik river begins from the range of Namunukula-Passara mountains in the district of Moneragala, (Province of Uva). Its length is about one hundred and twelve kilometres.It flows down and meets with the blue ocean at Kirinda. About two hundred and seventy nine million cubic meters of water flows into the sea without being used for anything. In the rainy season, Kataragama and Sellakataragama are flooded by the Menik river. But in the dry season, there isn't a single drop of water to be found in Kataragama, Sellakataragama, Lunugamvehera and Thanamalvila. In 1978 the Lunugamvehera project was launched to provide water to the above places, by building up a dam across Kirindi Oya. But that was not very successful. Then the government started a project called Gal Amuna. But that too was not fruitful.As a solution to the water problem, the Weheragala project was started. Now as a result of this project, Kataragama, Sellakataragama Lunugamvehera and Thissamaharama will have water throughout the year. What's more Kataragama and Sellakataragama will not be flooded. Thirty thousand acres of paddy lands too can be cultivated. It would supply water to another twenty five reservoirs and farmers would be able to cultivate during both Yala and Maha seasons. Another ambition of this project is to supply more water to the Yala and Lunugamvehera national parks. This would prevent wild elephants from coming to villages in search of water and attacking villagers. Of course, they have water in their parks even now, but it's not sufficient. The new reservoir got its name because it was built up at the place called Weheragala situated in the middle of Yala National Park. The dam is about two kilomtres long and 20 metres high. The width is about 18 metres. There are six iron sluice gates to release the water when necessary. There is a canal about 23 kilometres long to send water from the reservoir to the Lunugamvehera project. All these construction work was done by local engineers. The giant project was launched by President Mahinda Rajapaksa with the laying of the foundation stone on June 5, 2005. The great reservoir project was completed in four years and commissioned on July 11 2009, by President Mahinda Rajapaksa. Vihara Maha Devi Balika Vidyalaya, Kiribathgoda.